This cloud looks like a buffalo or an ox charging at an enemy. This cloud looks like a snail. The snails shell is the sun and the shell is glowing and it can glow in the dark. 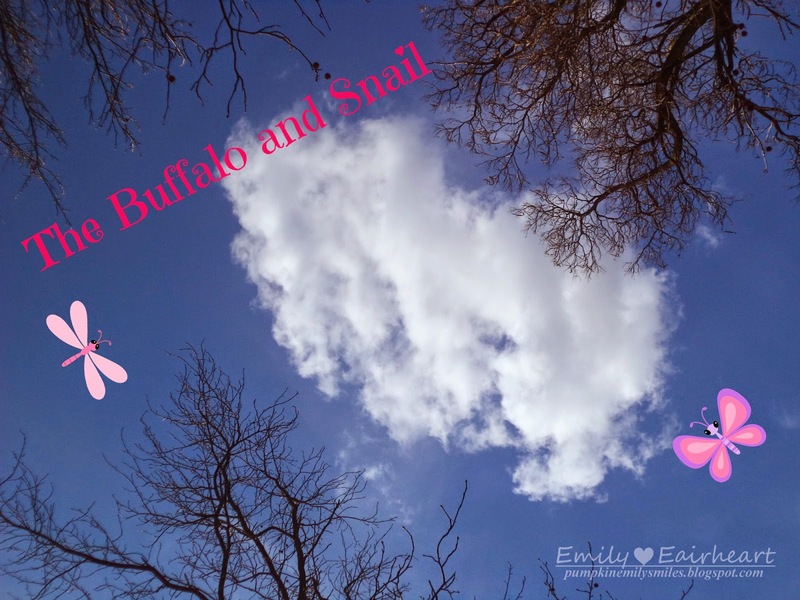 Maybe the buffalo and the snail are fighting each other.